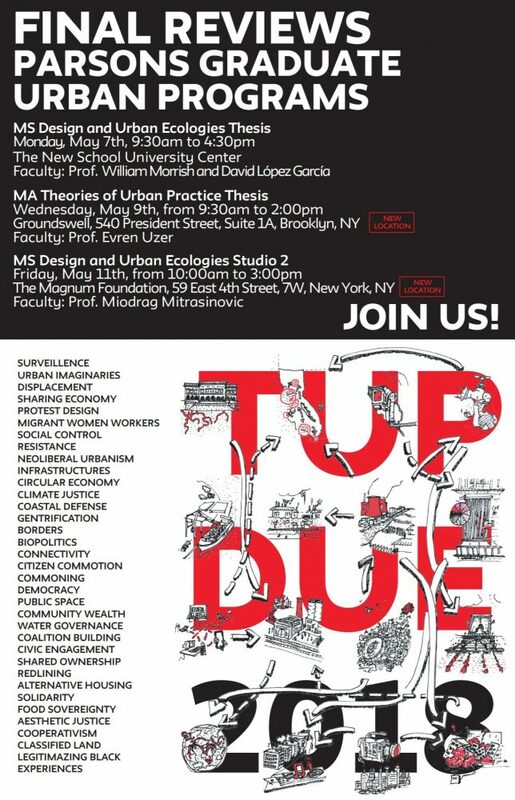 Join the Urban Council and the students of the MA Theory of Urban Practice and MS Design of Urban Ecologies as they present their work. Faculty, friends & family, and guests are welcome to attend. Categories: Presentations, Student Events, Studio II, Theories of Urban Practice, Thesis, and Upcoming Events.